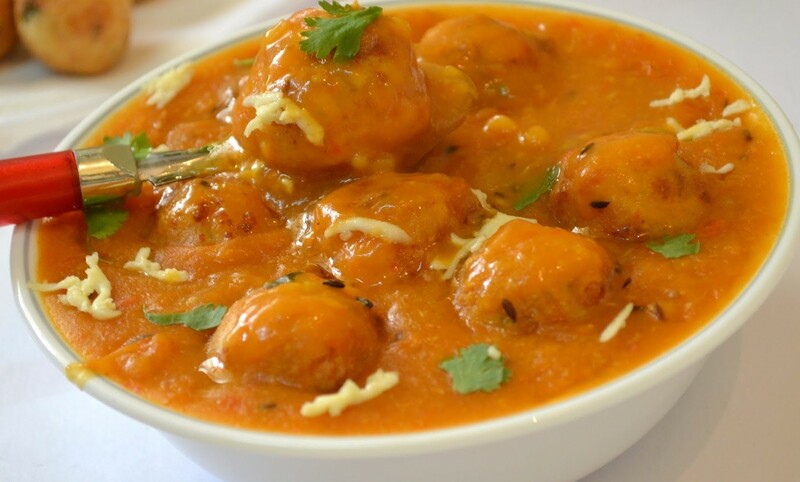 HOW TO PREPARE DELICIOUS DAL MAKHINI? Home Vegetarian Recipes HOW TO PREPARE DELICIOUS & MOUTH WATERING DAL MAKHINI? Loved by one and all… Dal Makhani is the most loved dish almost by everyone. Its name is enough to bring water to the mouth and is one of the most popular North Indian Cuisine which is known all over the world for its yummy taste. From kids to older, ever age group is fond of this form of curry. As per the taste one loves, Dal Makhani can be cooked both the ways, spicy and decent as per the preference of the one who is eating. 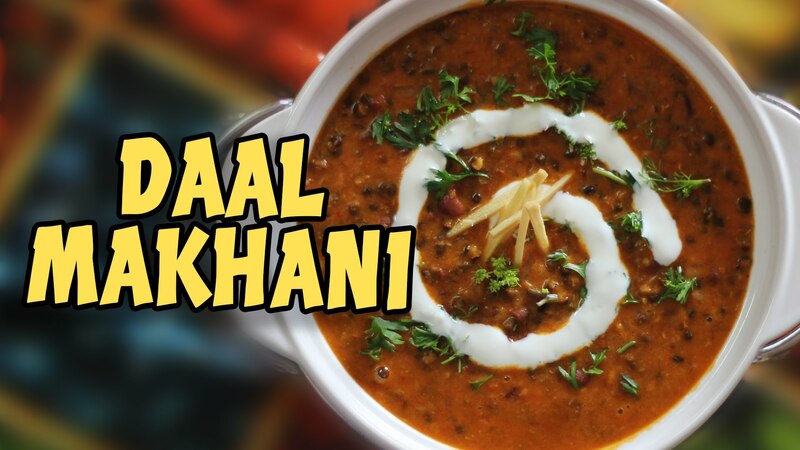 The best part of this luscious dish is that the dal which is used to prepare Dal Makhani is highly rich in vitamins and calories both, so even if you have a bowl, you will feel like your tummy is full. It is quite heavy in eating, so less of it also makes too much. This curry has become a big-name in every corner of North India and is cooked in almost every restaurants and hotel in India. 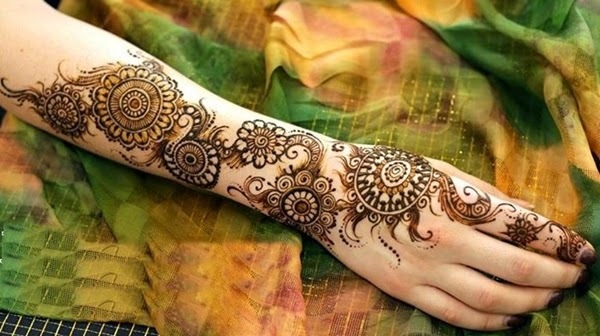 It is good to have a change of taste, and that is the reason why hotels and restaurants came into fashion so speedily. 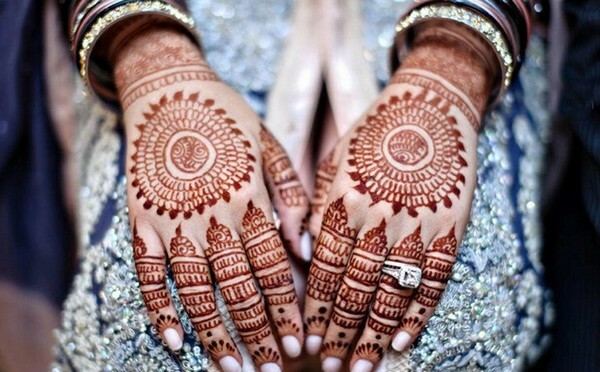 But nothing can ever be compared to the taste and purity of home-made dishes. The creamy, rich and decent flavour of Dal Makhani is so tempting that the moment you think about it, it makes your mouth watery. It has been given the name ‘Makhini’ because of the flavour of the cream that is added in quite a good amount to it, and this is also the reason of its rich, creamy taste. You need a proper one day to prepare this dish without any hassle. But if you are in a bit hurry, it can be cooked in less time as well. Now the question arrives, if you have some special guests invited for the lunch or Dinner or you just want to cook something that can complement with Dal Makhani, what can it be? So, here is the answer to your question… This curry can be served with simple butter naan which will add to its taste. Also, you can opt for Jeera rice or Plain rice to serve with Dal Makhani. Now, Let’s begin our cooking class of Dal Makhani, and the list of ingredients is given right below, just go through them and accumulate all of them at one place so that you don’t miss out anything when you are all set to cook. It is the sign of a professional cook, to be well prepared. Take the given quantity of clean rajma and black urad daal in a container and wash them well. Then soak both of them in about three to four cups of water for a complete one night. When you wake up, you will find that almost whole water has been absorbed and the size of the dal and rajma has increased. Immediately, drain the remaining water and take a pressure cooker. Now add both of these ingredients to it, with three cups of water, some ginger and salt to it. Wait for about three to four whistles of the pressure cooker and check if these ingredients have turned soft and can be mashed easily. Next step that knocks in is, Take a medium sized pan and pour some butter and little oil in it. Once the pan and the ingredients are heated, add cumin seeds and wait till they turn brown. Then add very little asafetida, chopped garlic, grated ginger, onions and sauté well. When they turn brown, add the tomato puree and green chillies and again sauté well on high heat. Once you are done till here, add the red chilli powder to this complete gravy and keep cooking till the time this gravy leaves the oil. This proves that the gravy is properly cooked. Here comes the final moment, when you will add the cooked rajma and dal to the pressure cooker. Add some water to it and let this whole come to boiling. This will automatically thicken the dal, and your Dal Makhani is ready. End up by adding some garam masala to it and garnish it will some rings of onions and coriander on the top. Serve it with hot butter naan or chapati or even plain/jeera rice will accompany it in the best way. Also, papad will taste twisting. Who says you are less than a chef?? You are a complete one… Just give it a try and earn endless compliments on the dining table. Be it a candlelight dinner or an official lunch, the aroma of this dish is so pleasing and tempting that it will surely make you the star of the day. For a speedy preparation – Take a container and rinse off rajma and urad dal under the tap water and just like we do for other pulses, add sufficient quantity of water to it. Now pt this container on the gas flame for few minutes till the water starts to boil and then turn the gas off. Cover the bowl with a plate for an hour so that the steam can remain in and then use a pressure cooker for further boiling. You will see how quickly all this will happen. If you do not have cream, not to worry… you can use milk for about half cup but then cut down the quantity of water by a half cup. 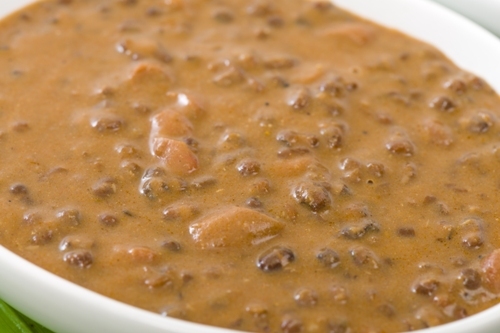 Once the cream added, never boil the Dal Makhani, else it will lose its entire creamy flavour.